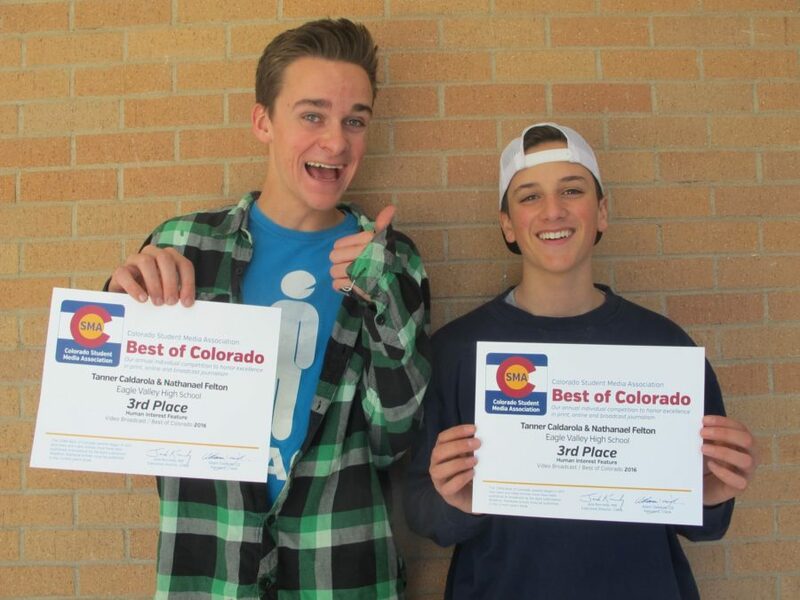 Eagle Valley Student Media’s Tanner Caldarola ’17 and Nate Felton ’17 placed placed third in the state in the Human Interest Feature category of the Best of Colorado Awards for their veteran profile of Pete Thompson. Tanner conducted the interview and edited the package, and Nate created the intro sequence. Students in the Advanced Media course have interviewed veterans weekly for Library of Congress’s Veterans History Project. Check out the award winning video, and visit Eagle Valley Student Media’s Veterans History Project page to see more of this semester’s interviews.